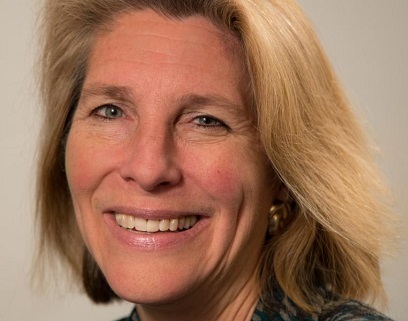 On February 28, 2019, Karen Donfried of the German Marshall Fund of the United States (GMF) spoke at The Fletcher School on the state of US-European relations in the age of the Trump presidency. This interview was conducted by Dan Scaduto and Nick Brown, Web Staff Editors with The Fletcher Forum of World Affairs. FF: Could you briefly share your background, what your role at the German Marshall Fund (GMF) is, and what your strategic vision is for the organization moving forward? KD: I am a proud Fletcher grad! I did my MALD and PhD at Fletcher, then went on to work at the Congressional Research Service. I started out working on Capitol Hill as a European analyst, then went from there to GMF (the first time around). I was at GMF for two years before heading to the State Department to cover Europe on the policy planning staff for about two years. I returned to GMF and ultimately served as the #2 at GMF until I left to go into the Obama Administration. My last job there was on the National Security Council as the Senior Director for Europe. I now have the great privilege of leading GMF. GMF is a transatlantic organization that focuses on how we can strengthen cooperation between the United States and Europe in the spirit of the Marshall Plan. What do we mean by that? We mean in the spirit of this liberal international order based on democracy, free market economy, rule of law, and the rights of the individual. This is a tumultuous time to be working on transatlantic relations. We do this work from our headquarters in Washington and our seven offices across Europe (half of my staff is European), namely, Berlin, Brussels, Paris, Warsaw, Belgrade, Bucharest, and Ankara. Our mix of programs is unusual. First, our oldest program focuses on leadership development. The crown jewel of that program is the Marshall Memorial Fellowship, which brings young, professional Europeans to the U.S. and sends young, professional Americans to Europe. Our selection committees have done an excellent job – our alumni even include Emmanuel Macron! Second, we support civil society in the Balkans and the Black Sea region; we believe a key part of democracy is having a vibrant civil society that holds government accountable, a concept that was not embraced in these previously communist countries. The third (and probably most well-known) basket of work is our policy work. We boast staff experts on NATO, on the European Union (EU), and on what a rising China means for the U.S. and Europe, who focus on policy-relevant research and analysis in their areas of expertise. Those are the two distinctive parts of GMF: our large geographic footprint plus the nature and mix of work that we do. FF: This is a very tumultuous time for the transatlantic relationship. On the U.S. side, you have President Trump railing against trade and against NATO. In Europe, you’ve got the rise of populism, Brexit, and the trouble a proud European like Macron is having. Can you touch on how you assess the current state of transatlantic affairs? For example, which problems do you believe to be more deep-rooted and structural and which could be solved in the next few years? KD: There are clear policy differences between the Trump Administration and many of our European allies on issues such as climate change, defense spending, and the relationship with Iran. There is a long list. I also think that many of the underlying trends that explain the rise of nationalist or authoritarian populism are very similar on both sides of the Atlantic. Our societies are experiencing a backlash from our citizens, who feel that they’ve been on the losing side of globalization. If I look the U.S., I see that Americans are suffering from income inequality and are concerned that their children won’t achieve, let alone surpass, the economic level they have secured. Many Americans are also concerned that their cultural identity is being frittered away by migration. On the other hand, while there are important national differences when you look across Europe, those two elements of economic insecurity and cultural identity are present and help explain the political turmoil that we see across the transatlantic space. I think we’re only going to be positive models for the rest of the world as functioning, liberal democracies if we solve those problems at home and in our own societies. FF: You previously mentioned that, even within the European Union, there are very deep-seated divides, especially in the political arena. What’s your prognosis as we head toward the European Parliament elections in May? On one side, you have pro-European advocates who champion integration. On the other, you have anti-EU advocates who support returning national sovereignty at the expense of that integration. KD: There are so many fault lines and divisions in the European Union today. Some of them are geographic – North-South, East-West; others are urban-rural or young-old. Can Europe bridge those divides? You’re absolutely right that we will have a first read on that after the May elections. The last time there were European Parliamentary elections, we saw EU citizens elect a Parliament that had 30% of its seats held by Euroskeptics. It’s really quite striking to think that you would run for the European Parliament for the sole purpose of trying to undermine it. At that time, I remember talking to a senior official in the European Parliament and saying: “You must be so concerned that 30% of the seats are held by Euroskeptics!” In response, he said, “Oh no, Karen. 70% are still held by people who believe in Europe.” We’re going to get an answer to my reply of “What about the trend line?” this May. In the end, we’ll see what the numbers are, but there’s no question that the skepticism around European integration and the European project is real, it’s growing, and European leaders have to think about how to make the case and demonstrate to their citizens that their quality of life is improving thanks to the existence of the European Union. It can’t be an argument based on nostalgia. While I do believe that European integration is a powerful reason why you haven’t had war again among these countries in Europe, I think that for the current European generation, that’s not compelling. They need to understand why European integration helps them economically, politically, and culturally today. I think there’s a robust case that European leaders can make, but they need to articulate it. FF: If I could pivot to security cooperation, the recent Munich Security Conference really highlighted the divisions that exist on issues like the Iran Nuclear Deal and how to respond to a rising China in Europe. What are the main fault lines in the security partnership between the US and Europe, with a focus on NATO and the context of President Trump’s criticisms of the Alliance? KD: What’s been most surprising to our European allies is that they thought they shared a view with the U.S. that alliances are enduring. That’s the power of the collective defense guarantee in the NATO charter. It doesn’t matter if I’m mad at you today; if you’re attacked, I’m there for you. The European view is that they have, in Donald Trump, an American president who sees an alliance as something transactional. That is undermining [NATO] Alliance cohesion because you have certain member states who feel deeply vulnerable because they border Russia and they believe that their security fundamentally depends on a U.S. security guarantee. They don’t want there to be any distance between them and the U.S., but they see that there are a whole set of issues where the gap is widening between U.S. policy and the policy that is being pursued by the European Union, which includes 22 NATO members, on issues like the Iran nuclear deal. It’s putting those vulnerable countries in a difficult position of straddling the divide. It is a very difficult moment in the transatlantic relationship. You saw those fault lines at the Munich Security Conference in the presentations that were made by the different speakers. That said, you also saw fifty members of the U.S. Congress go to Munich. That is the largest bipartisan Congressional delegation you have ever had attend the Munich conference. That says to me that there is still a deep reservoir of Americans who believe that U.S. interests are well-served by the alliance with Europe. The senators and representatives wanted to make the point that they will continue to be advocates for that alliance. FF: To pivot to another recent topic of interest, it seems that the idea of technological innovation has come into focus more sharply in Europe than it has in the United States. This week, the GMF launched the Digital Innovation and Democracy Initiative. Could you tell us a bit about that initiative’s vision and about what opportunities exist in this area for greater transatlantic cooperation? KD: This is a new program at GMF. I wish I could have started it even more quickly than we did because technology and digitalization are critical issues for the future of the transatlantic relationship. It is the age we have already entered and there are many elements of this debate around technology and digitalization that divide the U.S. and Europe. I was in government at the time of the Snowden disclosures, so I lived the debate over privacy versus security. There is concern in Europe about the big U.S. tech companies. Concern about how you regulate those companies. Therefore, I thought it was critical for GMF to make a contribution to that conversation between Americans and Europeans about how to forge a common policy. The reason that is so critical is because Americans and Europeans do share the same values around wanting to have an open and free Internet unlike Russia and China. If Americans and Europeans don’t agree on a common way forward that spells trouble for both sides of the Atlantic. The name of the Initiative is also important: the Digital Innovation and Democracy Initiative. Clearly, digital innovation is something that is incredibly positive, but it can also bring disruptive and even negative elements with it. How do we think about that when we live in democracies? It was that interplay between innovation and democracy which has a uniquely transatlantic flavor to it. That explains why we wanted to launch this Initiative at GMF. FF: Our penultimate question hinges on the idea that clear leadership in Europe appears absent with Merkel stepping down, Macron – who is a proud integrationist, but is clearly lacking in political capital at the moment— and then Britain, which is obviously leaving the bloc. If there is going to be a resurgence in cohesion, it seems to me that we need a new group of leaders to emerge that advocates for that. I’m wondering: what signs of optimism do you see and where do you see that leadership coming from in the near future? KD: You’re absolutely right that it feels like there is a lack of leadership in Europe right now. There had been such hope that, after Macron was elected in France and with the German election following shortly after, you might see this renewed Franco-German leadership at the core of the European Union. We now see that hasn’t quite played out the way that we had anticipated for domestic reasons in both of those countries. Now, along with having a European Parliament election in May, we also will see turnover in several European institutions. We’ll have a new President of the European Commission, we’ll have a new President of the European Council, and I think that the immediate hope is that you will see individuals stepping into those two roles who bring with them an inspiring vision of Europe’s future, along with lots of energy to pursue that vision, which can be compelling to European citizens. I think those will be important developments for us to keep our eyes on! FF: As you mentioned, you were an alum of the MALD and PhD programs here at Fletcher. We were wondering if you could share a bit about your experiences here and how they helped prepare you for your career, along with any advice you’d like to give current Fletcher students. KD: I obviously have a deep affinity for Fletcher. That’s why I was so delighted when Chris Miller asked me to come back and give a talk. I’ve been back a few times since I left and there are lots of reasons for that affinity. The most important is the people you meet and the relationships you forge. Those are both with other students, but also with professors. To speak to the student side of that dynamic, Fletcher has such a wonderful, international student body. I found that I learned a tremendous amount from my classmates, who came with different experiences from their home countries. My core group of friends in Washington [D.C.] continues to be a group of women that I went to Fletcher with. On the professorial side, I did a PhD here as well so I was able to forge some really deep ties to a small cohort of professors. Unfortunately, one of them has passed away, but the others are still doing very well and are still teaching. That represents another layer of connection to Fletcher. I always felt that it was a small enough place that you really could get to know your professors well and turn to them not only to help you learn the material you were studying, but also to serve as mentors as you enter the working world. I also feel grateful to Fletcher for the substantive knowledge I gained in the classroom. Part of that is related to the professors for sure, but part of it, too, is that you can study such a rich diversity of topics at Fletcher. For prospective students, my advice is to be really thoughtful before you begin your studies about what courses you want to take, because your time here goes by very quickly. It was a great opportunity for me to learn about international economics and international law, because those were topics that I had not studied deeply before coming to Fletcher. My advice for current students (and I say this as someone who now works for a non-profit, but spent a lot my career working in government) is that you may not make a lot of money working in public service, but there are lots of other benefits you will receive from serving in government. I say this because I think that government might not be such an attractive option for students at this moment in time. Dr. Karen Donfried is president of the German Marshall Fund of the United States (GMF), a non-profit organization dedicated to strengthening transatlantic cooperation through policy analysis, fellowships for next generation leaders, and support for civil society. GMF is headquartered in Washington, DC, and has seven offices in Europe. Before assuming her current role in April 2014, Dr. Donfried was the special assistant to the president and senior director for European affairs on the National Security Council at the White House. In that capacity, she was the president’s principal advisor on Europe and led the interagency process on the development and implementation of the president’s European policies. Dr. Donfried has a PhD and MALD from The Fletcher School of Law and Diplomacy at Tufts University and a Magister from the University of Munich, Germany. She holds a bachelor’s degree in government and German from Wesleyan University. Dr. Donfried is fluent in German.